Stepwells are wells or ponds used to store water and it is reached by descending a set of steps, hence the name Step wells. Stepwells are examples of many types of storage and irrigation tanks that were developed in India, primarily to manage seasonal instabilities in water availability. A basic difference between stepwells, and tanks and wells, is – Stepwells make it easier for people to reach the ground water and to maintain and manage the well. 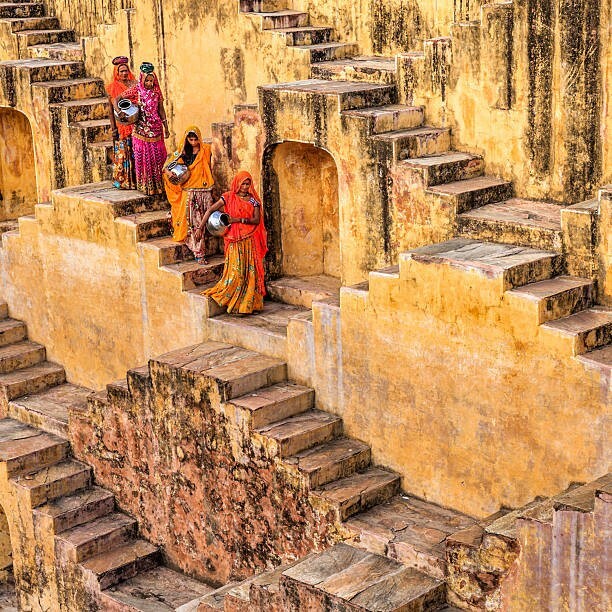 The earliest stepwells date to around 550 A.D., but the most famous of them were built in primitive times. 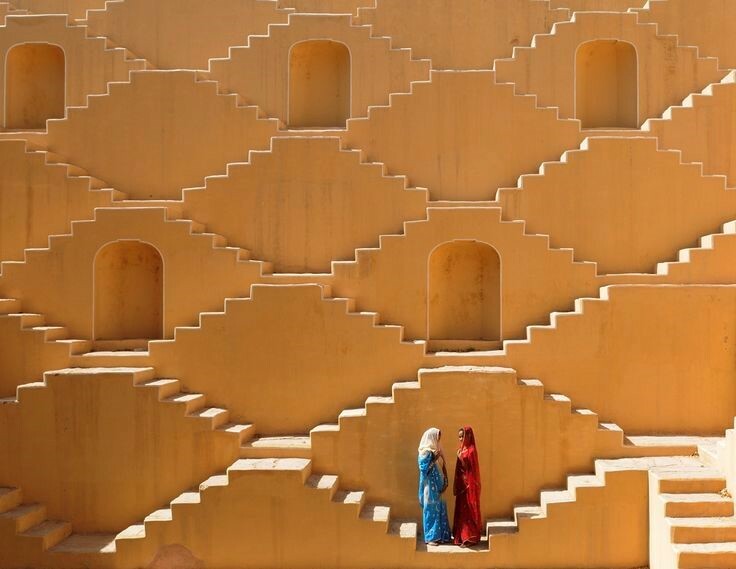 It is estimated that more than 3,000 stepwells were built in the two northern states. Although many have fallen into poor condition and have been filled in with trash in the modern era, hundreds of wells still exist. These wells are known by many names. Hindus call them as baori, baoli, baudi, bawdi, or bavadi. Gujaratis know them as vav. Two common types of wells are: 1. Step pond with a large open top and 2. Graduated sides meeting at a relatively shallow depth. 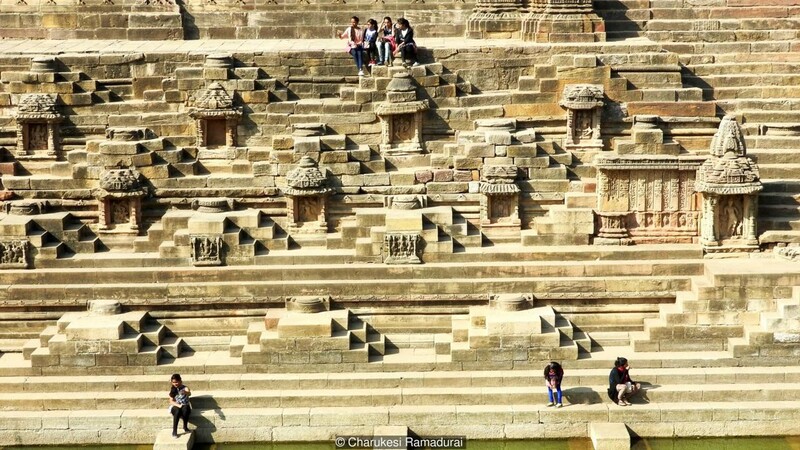 Stepwells usually consist of two parts: a vertical shaft (protected from direct sunlight by a full or partial roof) from which water is drawn and the surrounding inclined subterranean passageways, chambers and steps which provide access to the well. The galleries and chambers surrounding these wells were often carved abundantly with intricate detail and became cool, quiet retreats during the hot summers. Temples and resting areas with beautiful carvings are built into many of the wells. Most surviving stepwells originally served relaxation purpose along with providing water. This was because the base of the well provided respite from high temperature during the day, and relief was amplified if the well was covered. Stepwells also served as a place for social gettogethers and holy rituals. Usually, women were associated with these wells because they were responsible to get water. And, majorly they used to pray and offer gifts to the goddess of the well for her blessings. This led to the building of some significant decorative and architectural structures, often associated with dwellings. It also ensured their survival as monuments. The stepwell ensured availability of water during periods of drought. The stepwells had social, cultural and religious significance. 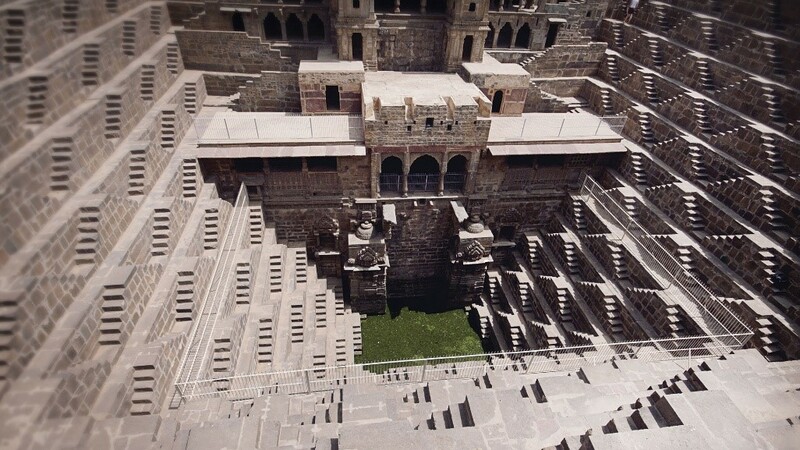 These stepwells were proven to be well-built sturdy structures, after withstanding earthquakes. Stepwells are certainly one of India’s most unusual, but little-known, contributions to architecture. 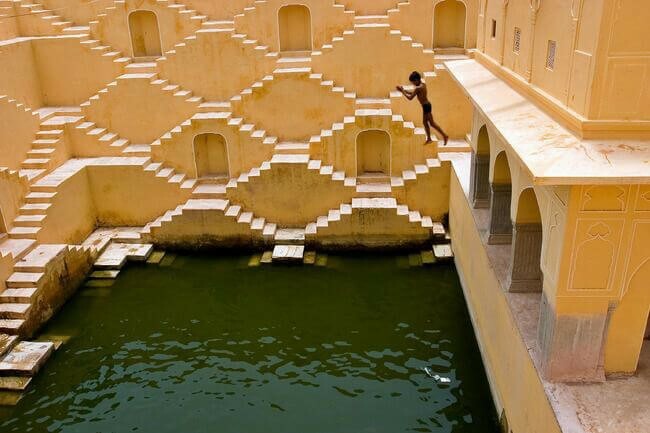 They influenced many other structures in Indian architecture, especially many that incorporate water into their design.